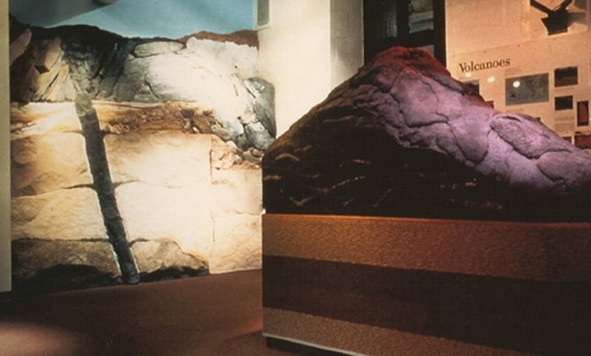 Rock Wall : section of the Earth showing the layup of rock and the lava flow coming to the surface through the layers. Designed and built by Rick Rothrock. Volcano : display of a lava flow. Designed and built by Rick Rothrock. <<-exhibit signage designed by Rick Rothrock.